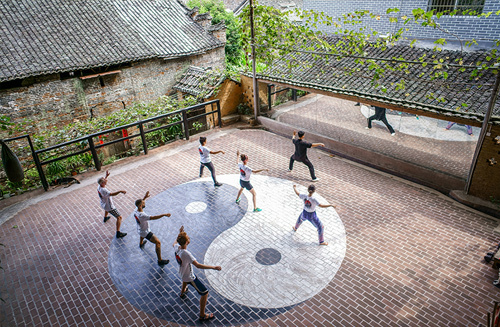 Tai chi tuition in china offers you the chance to train in a truly unique and immersive environment. Compared to the west studying in china could be considered very cheap, especially for the level and quality of tai chi tuition you receive. Below you will find prices of full time Tai chi tuition (4hr/day) and part time tuition (2hr/day) accommodation fees and food options can be found on the Accomodation page. If you are interested in studying for a period of more than three months please contact us for prices for long term students. Tuition is also available by the hour. We also offer group rates, for these please get in contact. We also offer Introductory Tai chi courses as well as General tuition courses which include accommodation and food. Prices shown are only available through this website with direct bookings, If you book at your hotel or hostel you will be charged more! It is possible to start your training at any time, but please be aware we only have limited accommodation at the school so it’s best to let us know in advance. For all bookings we ask a 20% tuition fee deposit to be paid in advance to secure your room and space at the school. The deposit is payable through a bank transfer up to 14 days before your booked date. Please note for all tai chi tuition over a period of one month, if you wish to receive the discounted rates, Then payment for the full duration must be received at the beginning of your training. If not you will be charged on a single monthly basis and not be able to receive a discount.